Brilliant golden amber color. Fruity aromas of tropical bubble gum, guava creme, and soursop liquado with a satiny, crisp, dry-yet-fruity light-to-medium body and a peppery, appealing, medium-long caramelized pineapple, coconut-caramel candies, and peanut confection finish. A bright and fruity whisky for sipping or a knock-out highball. 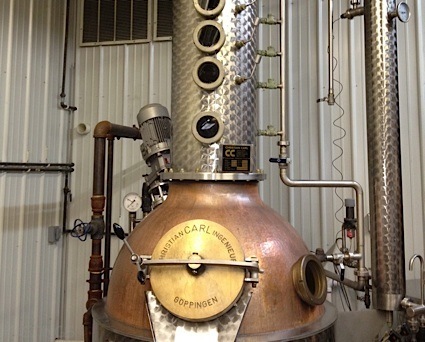 Bottom Line: A bright and fruity whisky for sipping or a knock-out highball. 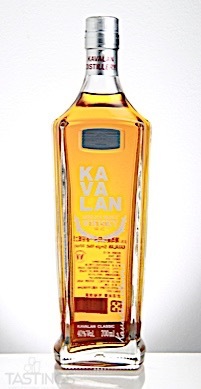 Kavalan Classic Single Malt Whisky rating was calculated by tastings.com to be 90 points out of 100 on 7/11/2018. Please note that MSRP may have changed since the date of our review.